Taylor Comeau scored in the first minute of stoppage time and the Red Stars salvaged a draw in Houston in the final game of Week 1 of the regular season. Chicago finally spoiled the home opener for the Dash, after losing in Houston to kick off the season in 2016 and 2017. With the Red Stars trailing 1-0, Comeau rose up to get her head on a Danielle Colaprico corner kick. The ball glanced off the head of a Dash defender and into the back of the net. The Red Stars didn’t get their first shot on goal until the 88th minute, and Comeau’s goal came on just their second. Chicago goalkeeper Alyssa Naeher made three saves to keep things close. The Red Stars also spoiled what would’ve been a win for new Dash coach Vera Pauw in her first NWSL game. The Dash took the lead in the 38th minute courtesy of one of the new faces on this year’s squad. Kimberly Keever, the No. 12 overall pick in the 2018 NWSL College Draft, connected on a pass from Savannah Jordan for her first NWSL goal. The game was also Jordan’s Dash debut, after joining the team in the trade that sent Andressinha to Portland. Other players making their debuts for Houston were 19-year-old South Africa midfielder Linda Motlhalo, new signing Mana Shim and rookie Veronica Latsko. Red Stars forward Michele Vasconcelos made her NWSL debut after missing all of last year due to the birth of her daughter. Vasconcelos was selected by the Red Stars with the 11th overall pick in the 2017 NWSL College Draft. The Red Stars were missing six key players in the game. Sam Kerr, the 2017 NWSL MVP who joined the Red Stars in a January trade, is on international duty for Australia. 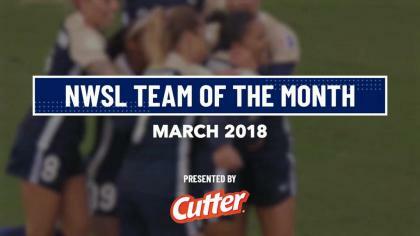 Because of injury: Casey Short (right ankle sprain), Vanessa DiBernardo (stress fracture pelvis), Julie Ertz (right knee sprain), Yuki Nagasato (left hamstring strain) and Rosie White (right and left navicular fracture). Match ends, Houston Dash 1, Chicago Red Stars 1. Second Half ends, Houston Dash 1, Chicago Red Stars 1. Goal! Houston Dash 1, Chicago Red Stars 1. Taylor Comeau (Chicago Red Stars) header from the centre of the box to the top right corner. Assisted by Danielle Colaprico with a cross following a corner. Attempt saved. Danielle Colaprico (Chicago Red Stars) left footed shot from outside the box is saved in the centre of the goal. Erin Yenney (Chicago Red Stars) hits the bar with a left footed shot from outside the box. Assisted by Sofia Huerta. Foul by Erin Yenney (Chicago Red Stars). Meleana Shim (Houston Dash) wins a free kick on the left wing. Substitution, Chicago Red Stars. Erin Yenney replaces Michele Vasconcelos. Substitution, Houston Dash. Lindsay Agnew replaces Savannah Jordan. Substitution, Chicago Red Stars. Nikki Stanton replaces Lauren Kaskie. Substitution, Chicago Red Stars. Sarah Gorden replaces Summer Green. Attempt missed. Nichelle Prince (Houston Dash) right footed shot from the centre of the box misses to the left. Assisted by Linda Motlhalo with a through ball. Attempt missed. Nichelle Prince (Houston Dash) right footed shot from the centre of the box is close, but misses to the right. Assisted by Rachel Daly. Attempt missed. Meleana Shim (Houston Dash) left footed shot from outside the box misses to the right. Attempt saved. Veronica Latsko (Houston Dash) left footed shot from the centre of the box is saved in the centre of the goal. Substitution, Houston Dash. Nichelle Prince replaces Kimberly Keever. Offside, Houston Dash. Veronica Latsko tries a through ball, but Linda Motlhalo is caught offside. Attempt saved. Meleana Shim (Houston Dash) right footed shot from outside the box is saved in the centre of the goal. Assisted by Veronica Latsko. Goal! Houston Dash 1, Chicago Red Stars 0. Kimberly Keever (Houston Dash) left footed shot from the left side of the six yard box to the centre of the goal. Assisted by Savannah Jordan. Attempt missed. Savannah Jordan (Houston Dash) right footed shot from the right side of the box misses to the left. Assisted by Haley Hanson. Attempt missed. Lauren Kaskie (Chicago Red Stars) right footed shot from outside the box is high and wide to the right. Attempt saved. Meleana Shim (Houston Dash) left footed shot from outside the box is saved in the top right corner. Corner, Chicago Red Stars. Conceded by Meleana Shim. Attempt missed. 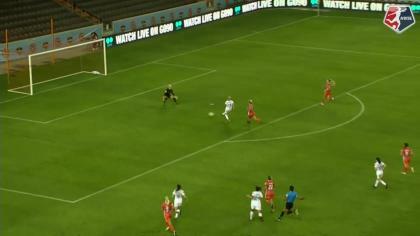 Savannah Jordan (Houston Dash) right footed shot from the right side of the box is close, but misses to the left. Assisted by Linda Motlhalo. Offside, Chicago Red Stars. Summer Green tries a through ball, but Lauren Kaskie is caught offside. Attempt blocked. Savannah Jordan (Houston Dash) right footed shot from the right side of the box is blocked. Assisted by Rachel Daly. Hand ball by Kimberly Keever (Houston Dash). Attempt missed. Amber Brooks (Houston Dash) header from the centre of the box is high and wide to the left. Assisted by Rachel Daly with a cross following a set piece situation.